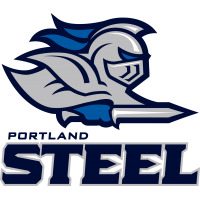 PORTLAND, Ore. - This is a historic day in Portland Arena Football history as the Arena Football League and the staff of the Portland organization focus on setting a new foundation with the exciting announcement that the team will be rebranded as the Portland Steel, effective immediately. "Portland has an extremely strong and knowledgeable fan base that appreciates outstanding football and entertainment," AFL Commissioner Scott C. Butera said. "The new Steel brand and logo represents the region's rich competitive nature and proud history. We believe this is part of the continuation of that philosophy and the start of a solid winning tradition." 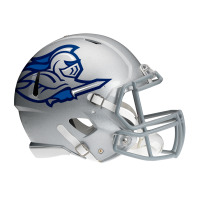 "The name "Steel' implies the strength needed to withstand the tough, action-packed game of Arena Football," Steel general manager and head coach Ron James stated. "I am excited as the team's coach and GM to be a part of this new chapter for the Portland organization." From the discovery of iron ore near Lake Oswego in the 1840's, to the 100+ companies that call the Portland Metro area home today, the steel industry has been a backbone of the Portland working culture for over 150 years. Steel is an overtly visible part of the Portland landscape, with foundries decorating both the Willamette and Columbia Rivers, and is seen in several of the city's 12 iconic bridges. "We will begin the work of forging a championship level team with the Portland Steel this spring," James continued. "And our fans can expect to see a fast paced hard hitting team at Moda Center this season." 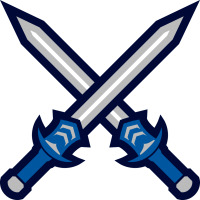 As part of the arrangement, the "Thunder' moniker will no longer be in use, though the Portland Steel will continue retain the history of the Thunder organization. Portland will open its third season of play, and first as the Steel, against the five-time ArenaBowl champion Arizona Rattlers at Moda Center on Friday, April 1, 2016 at 7 p.m. The game will be televised nationally on the CBS Sports Network, and will feature the debuts of head coach Ron James, and All-Arena quarterback Shane Austin. AFL "Off the Net: Return to Week 12"